“Apple Does Not Fall: Shtetl Cousins Meet Iron-Curtain Cousins” will be the topic of a presentation by family historian Bena Shklyanoy, an immigrant from the Soviet Union, at the Sunday, Oct. 22, 2017, meeting of the Jewish Genealogical Society of Illinois. 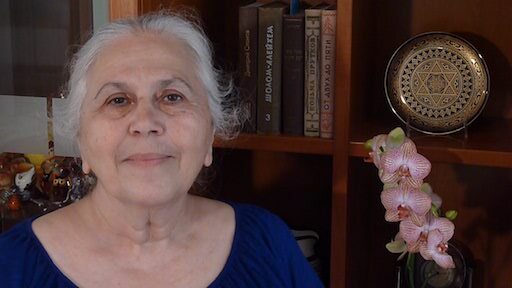 Her presentation will begin at 2 p.m. at Temple Beth-El, 3610 Dundee Road, Northbrook, Ill.
Bena Shklyanoy’s website and blog at https://appledoesnotfall.com is the result of 11 years of research and recollections. It contains her family trees, photos from travels to ancestral shtetls and the story of an average Soviet Jewish family, including during the mid-1970s Jewish emigration from the USSR, an era little known in the U.S, Bena says. In 1976, she immigrated to the United States with her husband and two young daughters. She changed her career to IT and earned an MBA. In 2004, her family story project began. It is now documented on her website, which focuses on insights into Soviet culture, culture clash, and the long-lasting impact of government and history on personal decisions.